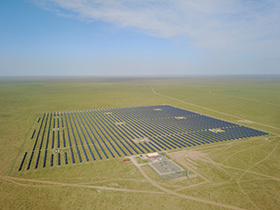 Sharp Energy Solutions Corporation (SESJ)*1 announces the completion of a mega solar power plant in Zamyn Uud, Dornogovi Province, Mongolia. The project was a collaboration with Shigemitsu Shoji Co., Ltd.*2 and Mongolian energy company Solar Tech LLC*3. The new plant has an output of approximately 16.5 MW-dc, with annual power generation capacity estimated at 31,162 MWh/year. The output from this facility is expected to allow avoided greenhouse gas emissions of 24,836 t-CO2 per year. Mongolia’s government is aiming for 25% of its power generation capacity to come from renewable sources. Back in December 2016, Sharp, in collaboration with Shigemitsu Shoji and others, completed a large-scale 10 MW-dc solar power plant. 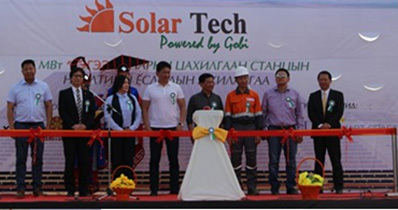 This was the first solar facility of its kind in Mongolia. Sharp remains committed to spreading renewable energy around the world. Please follow us on LinkedIn and Twitter and subscribe to our website and receive notifications of new posts by email. Midsummer to launch its new energy producing metal sheet roof "Midsummer solar roof"